Getting my two sons to read consistently can be hard at times. They have gone through phases were they find a book series or topic they enjoy reading then fall back into the “I don’t want to read” slump again. This year Mason, (3rd grade) has book reports with each book being a different genre and unique type of project to present the book report. 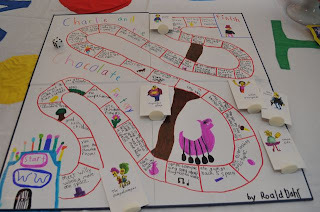 He loves creating and playing games so he chose to read Charlie and the Chocolate Factory by Roald Dahl and create a board game. 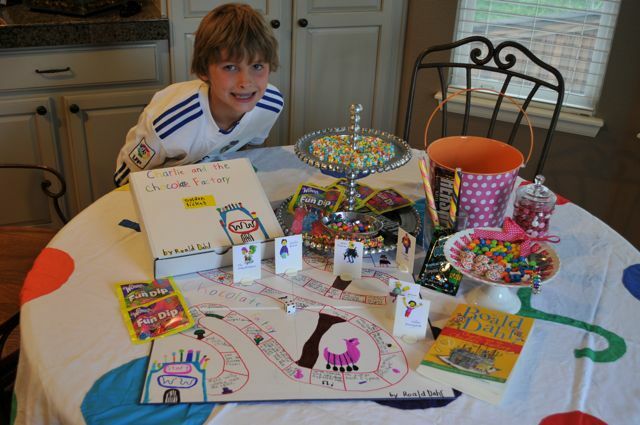 We decided to have a candy party to celebrate the completion of his project and hard work. Kids love to celebrate so why celebrate when they finish a book or series. 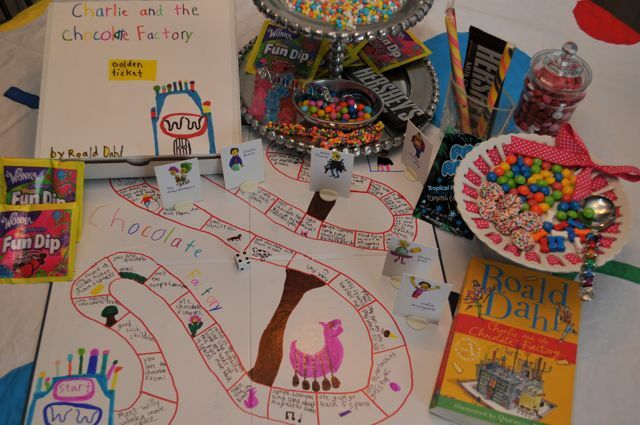 We had a blast picking out a variety of candy and tasting it all while we played his new game. Be Creative, Have Fun & Celebrate Reading!